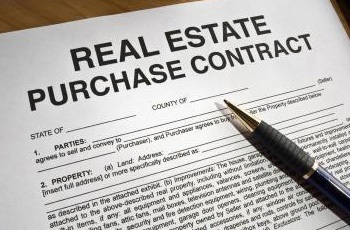 A written Purchase and Sale Agreement is the foundation of a real estate transaction. Oral promises are not legally enforceable when it comes to the sale of real estate. Therefore, you need to enter into a written contract, which starts with your written Purchase and Sale Agreement. This Purchase and Sale Agreement not only specifies price, but also all the terms and conditions of the purchase. For example, if the seller offered to help with $2,000 toward your closing costs, make sure that's included in your written offer and in the final completed contract, or you won't have grounds for collecting it later. REALTORS® have standard Purchase and Sale Agreements and will help you put together a written, legally binding offer that reflects the price as well as terms and conditions that are right for you. Your REALTOR® will guide you through the offer, counteroffer, negotiating and closing processes. In many States, certain disclosure laws must be complied with by the seller, and the REALTOR® will ensure that this takes place. If you are not working with a real estate agent, keep in mind that you must draw up a Purchase and Sale Agreement or contract that conforms to state and local laws and that incorporates all of the key items. State laws vary, and certain provisions may be required in your area. If the seller likes everything except the sale price, or the proposed closing date, or the basement pool table you want left with the property, you may receive a writtencounteroffer including the changes the seller prefers. You are then free to accept it, reject it or even make your own counteroffer. For example, "We accept the counteroffer with the higher price, except that we still insist on having the pool table."